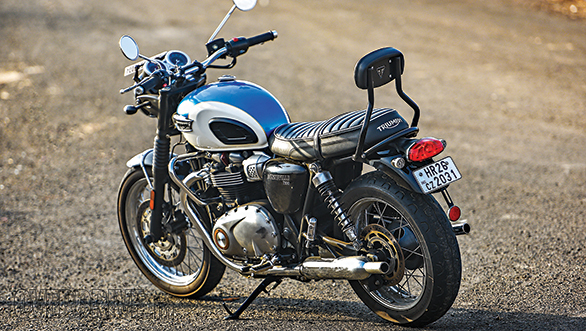 Triumph has issued a recall for a particular batch of its Bonneville range in India to fix a faulty fuel pump sub-harness found only in the motorcycles with a specific chassis number series. Triumph has reportedly identified the set of motorcycles affected by this recall and is currently notifying the owners about the recall. The faulty part will be replaced by the company free of cost, and the owners are reportedly being asked not to ride the motorcycles until the part is replaced. The British marque says the recall is a preventive part replacement drive, and none of the motorcycles has reported any problems so far. In the emails being sent to owners of the affected bikes, Triumph states that this is a part of its global exercise to ensure stringent quality standards and customer safety. This is the second motorcycle recall being issued this year in India, after Yamaha recalled the YZF-R3 in February to fix faulty fuel tank and power switch. The R3 was also recalled in June 2016 for oil pump- and transmission-related issues, and Suzuki Motorcycles recalled the Access 125 in July 2016 to fix rear-wheel stability related problems. Triumph also recalled 34 units of its Daytona 675R motorcycles in May 2015 due to problems with the suspension. The Bonneville range is Triumph's largest-selling brand in India and includes the Street Twin, Bonneville T100, Bonneville T120 and the Thruxton R. Triumph recently released a teaser video for the Bonneville Bobber, which will soon be added to its product line-up in India. The Bonneville range made up around one-third of the motorcycles the company sold in India between April 2016 and February 2017. Around 1,000 motorcycles were sold in that period.